Tag Archive | "The Rocks NSW"
Venture back in time when prisoners were the law, public executions were commonplace and the Rocks Push ruled the street. Discover slums overrun with mass burial pits, sly grog haunts. Our Convict past and historic treasures - in a modern world. Discover Sydney's magnificent historical buildings and the Sydney Harbour Bridge. Sydney’s Hidden Little Laneways walking Tour. Let us show you Sydney and inform you about its history and culture, you will enjoy highlights of the city and see over 200 years of history come to life. Take a walking tour of the city’s most popular monuments and bustling piazzas starting from the Customs House, a precinct where old 19th century sandstone buildings. During our 3 hours walking tour we will admire historical buildings. The first decades of the 20th century saw countless buildings from our colonial past torn down, this exhibition in Sydney places the 1902 artists’ paintings alongside the commissioned photography, inspection reports and remodelling plans. There are plenty of city walking tours in Sydney on offer, and lots of opportunities to explore magnificent walking tracks free of crowds. There is so much to do in New South Wales, but a week will surely persuade you to come back for more, from Sydney to the Blue Mountains, Hunter Valley to Jervis Bay, Kangaroo Valley to the Southern Highlands. Discover of the history of The Rocks Sydney NSW, from convicts to its modern day heritage. 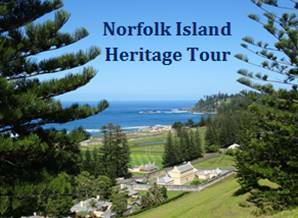 Heritage Tourism covers a broad range of topics relating to the culture and iconography that is uniquely Australian. You will find all things Australia within this site so just start clicking and find some great travel treasures.